Allow uploading files directly from the editor. 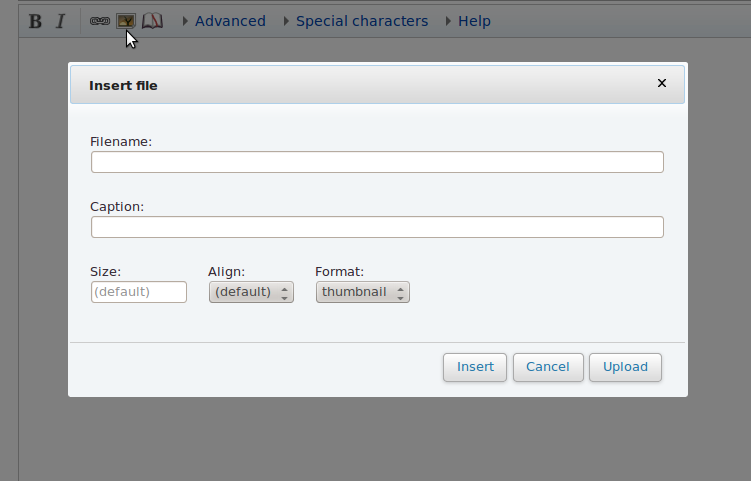 Wikitext counterpart of T40030: Way in VisualEditor to initiate Commons file uploading, and insert image on completion. To be implemented after we're sure that the VisualEditor part has gone over well. matmarex assigned this task to Prtksxna. matmarex added projects: WikiEditor, Multimedia. matmarex edited projects, added User-notice; removed Patch-For-Review.